Our journey began in June 2012 and it was a normal day like any other. But something happened that changed our lives forever. Raj, two and a half years old at the time, was watching TV and suddenly fell to one side. Something felt really wrong. The left side of his body felt floppy and limp. We rushed him into our local A&E and they took Raj in for a CT scan. At that moment, after the scan, when they ask you to come into a side room, you realise it’s not going to be good news. They had found a bleed in his brain and they suspected it was caused by an underlying tumour. He was operated on a few hours later. Raj was rushed to John Radcliffe Hospital in Oxford. He was operated on a few hours later. The surgeons took as much of the tumour out as they safely could. We were then given the devastating news: the tumour was malignant and very aggressive – a grade 3 or possibly even grade 4 tumour. We had a couple of months at home with Raj while the hospital worked on the pathology of the tumour. It became clear it was either an ependymoma or glioblastoma, but it was difficult to knuckle it down to one type. The operation would be aggressive and more than likely leave him paralysed. 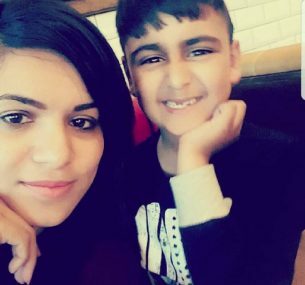 We were told, following a scan two months later, that the tumour had grown and if Raj wasn’t operated on he would die within three months. If the tumour was a grade 4 he could die soon thereafter anyway, as well as being paralysed for the time he had left. We felt broken but we made the decision to operate. Surgery took over six long hours. Raj’s surgeon was amazing and managed to remove the entire tumour. We waited to see if Raj could move his arms and legs. Amazingly he did and there was no paralysis at all, apart from a small weakness in his left hand! Soon thereafter we commenced with chemotherapy. It was a pretty tough course: four cycles and five different types of drugs. All were administered as an inpatient at John Radcliffe. Typically we would have chemotherapy every other week, and be in hospital four days for every course. We spent a lot of time at the hospital and they did a great job of making Raj comfortable. We also made some great friends. Raj tolerated chemotherapy amazingly well. The biggest side-effect was loss of hair. Because we had chemotherapy so often, Raj’s immune system never really got a chance to recover so he spent most of six months at risk of infections. Amazingly, he managed to escape without any! Following treatment, life returned to normal. Raj started nursery and we felt almost as if it could have all been a horrible nightmare. We were reminded it was definitely reality when one of Raj’s regular scans showed a small lump again. The surgeon got us into the hospital fairly quickly and said they would like to remove the entire tumour again, as well as some healthy tissue around it. Raj had his third operation, and again the surgeon removed it all. The surgery would again need to be aggressive and therefore the risk of disability returned. Raj’s hand got a bit weaker, but otherwise he was fine. 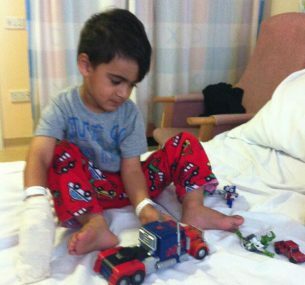 We thought he would be crying following surgery, but he returned to the ward and decided to sit up and play with his Transformers! He truly was resilient. He amazed us all and we were home within three days. The next step was radiotherapy. We knew the side-effects could mean a whole host of new problems for Raj. A follow up MRI showed that the surgeon had managed to get all of the tumour out again. We were so grateful. As always, the hospital didn’t think surgery alone would keep the tumour away. The hospital suggested we had radiotherapy. I had heard that a form of radiotherapy called Proton Beam therapy was available for Raj’s type of tumour. This was, however, done in the USA. 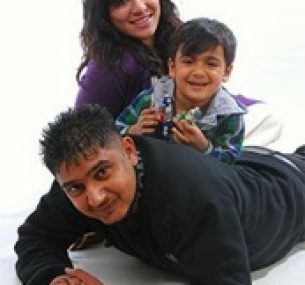 Raj’s consultant agreed with us and the NHS approved us to travel all the way to Oklahoma for treatment. Travelling to Oklahoma was scary as we had to spend three months out there. A place we knew nothing about and we didn’t know how Raj would respond to treatment. In his usual style he was absolutely fine. Oklahoma was actually really fun. We met other families from the UK who were also having treatment. 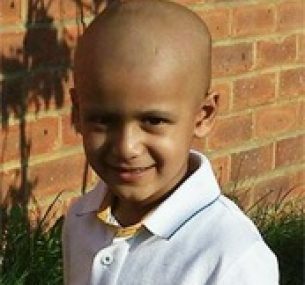 Raj received 33 sessions of radiotherapy at the ProCure Proton Therapy Center. The doctors, nurses and people of Oklahoma were wonderful, and Raj loved getting to know them. 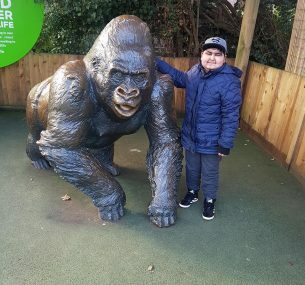 At the end of treatment we returned home and Raj went back to school. He was just so happy to join his friends again. Another 14 blissful months had passed since that last surgery and there it was on another scan again. The same tumour. This time the oncologist told me he was really worried. I was looking to him to work his magic. Surgery number four commenced for Raj. He was older now and I had to explain what was happening. He asked me if the surgeon would see his brain. When I told him yes, his response was “wow”. Surgery went well and we were home again within three days. My little man was such a superhero. 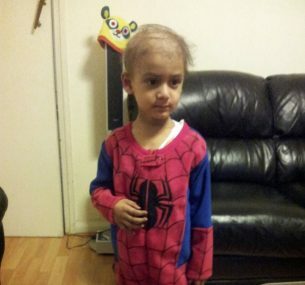 Raj’s consultant then suggested we attempt an oral chemo called Temozolomide to keep the tumour away. The chemo came in tablet forms. Raj was only five and didn’t swallow tablets so I had to prepare the medicine for him by splitting the tablets. This was all done at home. I remember the first time I did it. My hands were sweating so much and I was scared I would drop the powder or I wouldn’t be able to get him to swallow all the medicine. It didn’t taste great so I was allowed to give it to him with apple juice. Just like the soldier Raj was, it all went smoothly with him attending school throughout the 12 months he took the medicine. The next relapse happened even more quickly though and we faced surgery number five. Raj responded so well to surgery that the surgeon was happy to try and get the tumour out again. I trusted this surgeon so much. Getting a tumour out was always the best method. The surgery went well, but the tumour had shifted and the surgeon couldn’t get it all out. Raj also had a bigger weakness in his hand and now his foot. This was hard to see. Raj tried to accommodate his new weakness. He was just happy to be home and playing his Xbox but he hated not being able to run around anymore. We looked at chemotherapy again and we started a course of something called PCV. In my heart, I didn’t feel comfortable. Raj was unhappy and this chemo made him feel poorly. Raj’s oncologist and I had a really honest discussion. We both decided it was best if we stop chemotherapy. 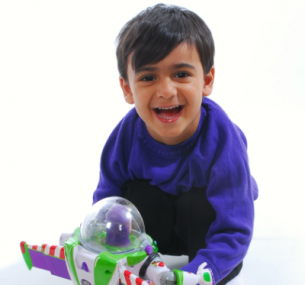 Raj’s oncologist kept fighting for us and managed to speak to Great Ormond Street Hospital and get Raj onto an immunotherapy trial. 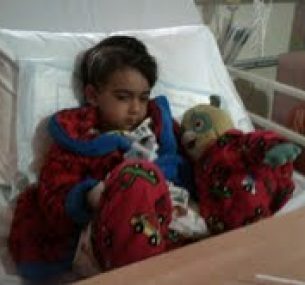 Before this trial we had to make some ‘space’ in Raj’s brain so Jay removed some tumour in a sixth and final operation. Immunotherapy lasted four months but didn’t work. Being told there was nothing more they could do was the most heart breaking moment. 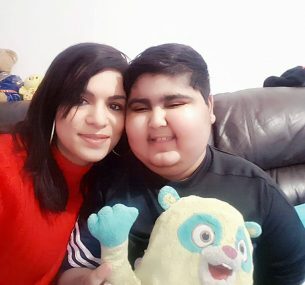 In January 2018, I was told Raj had three months left to live. Raj was oblivious. He was happy and smiling. The last few months were tough with some seizures and scary moments, but we made some beautiful memories. We visited London Zoo, Lego Land, watched Aladdin and went to a 3D dinosaur exhibition. On April 20th 2018, my beautiful baby boy died in my arms at home. Raj was always unique and 30 seconds before he died, he had walked into our house, tough as a cookie. Moments later I told my son I loved him and he was gone. I am so very proud of Raj. He endured six operations, two lots of chemotherapy, radiotherapy and immunotherapy. Throughout this whole time, all we did was laugh and smile. 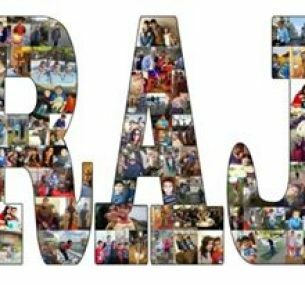 His family and I miss him so much and life will always be empty without Raj. My only hopes are we find a cure someday so no other family has to face this reality. A cure really can’t wait. 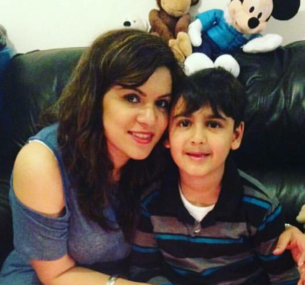 We would like to thank Suki and her family for sharing Raj’s story. A fitting tribute to a lovely boy who meant so much to so many people.